According to MakeUseOf, with an app called AutoSaver, you can automatically save the file you're working on every five minutes or less, ensuring that your work will always stay secure. It's a simple app that works with almost any Windows version, so lost files should now be a thing of the past. If you want to try AutoSaver, you can download it here—it's completely free and only 21 KB. After downloading, unzip it, and store it somewhere you can access easily. You don't even need to install it, although, if you are still using Windows 7 or earlier, you'll have to install the .NET Framework 4 first. 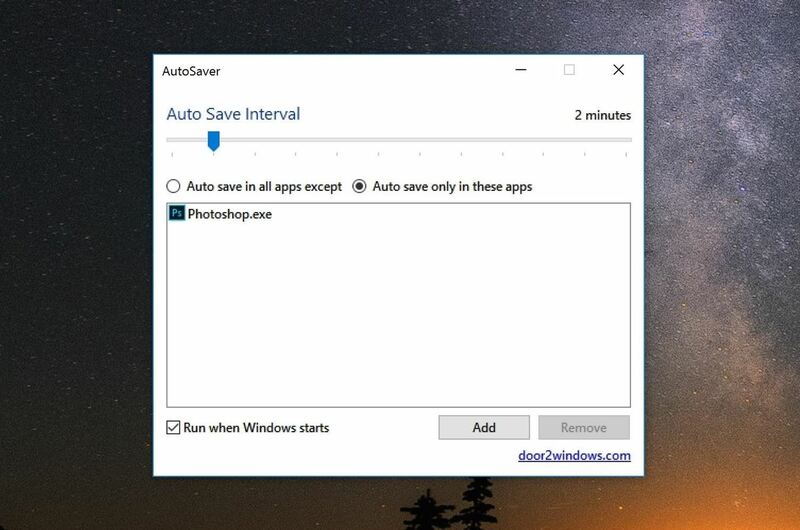 AutoSaver will run in the background of whatever program you are working on, and the way it works is simple; The app basically hits the Ctrl+S "save" shortcut for you, but at a pre-set time interval that can be configured as frequently as one minute. Some apps on Windows, such as Word and Premiere, already have an auto-save function built in. But if you're working in Photoshop, After Effects, or Reaper, AutoSaver will certainly come in handy. To set up AutoSaver, you'll need to whitelist or blacklist apps using either the "Auto save in all apps except" option, or the "Auto save only in these apps" setting. Then, you'll need to adjust the "Auto Save Interval," and please, make sure to check the box for "Run when Windows starts" so that the feature will be available at all times. For instance, if you didn't want to add Chrome to AutoSaver, you could add it to the "Auto save in all apps except" so Ctrl+S will not be pressed every few minutes while you're networking away. Just remember that if you don't add certain apps to the blacklist, they will be auto-saved at every interval. Now, sit back, relax, and never again worry about losing your data while working in any of Windows' apps.